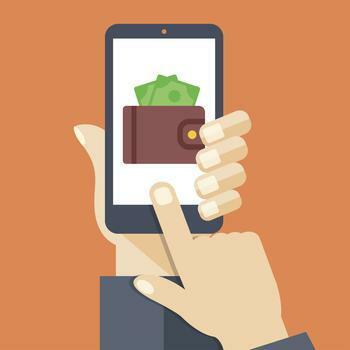 A survey by mobile banking app Varo Money indicates consumers – led by Millennials – are eager to embrace the simplicity and convenience of remote banking and artificial intelligence (AI) for managing their finances. Millennials appear especially intrigued with AI's potential to help them budget. Eighty-five percent of Millennials believe AI can help them better manage their finances. AI, a foundation of the burgeoning field of fintech (financial technologies), is already being used to help consumers devise the best savings plan and provide real-time visibility of spending patterns. Fifty percent of consumers in the survey agreed that an AI assistant would be better than they are at creating a budget. Varo may well be an example of where the future of banking is headed. It's a mobile banking app offering checking, savings, and installment loans, integrated with a number of money management tools. Traditional banks are also adapting to the new technology, and consumers may have seen the evidence with their local banks' movement beyond online banking to mobile account access. Instead of having to make a trip to the bank to deposit a check, consumers can do it electronically using their smartphone. A recent survey conducted by the American Bankers Association (ABA) found that 60% of consumers said it is important for their bank to offer online and mobile services. Earlier this month, ABA endorsed a digital lending solution by LendKey for its member banks. The system provides a digital solution for originating student loans, student loan refinancing, and home improvement loans. Using LendKey, consumers only need to go to their bank's website or mobile app. There, they can apply for a loan, get credit approval in real time, and pick a loan offer. There's no need to visit a branch. ABA said member bank WSFS Bank partnered with LendKey in 2013, providing a suite of digital solutions to its customers. “They have successfully helped us accelerate our online student lending and refinance product offerings, while allowing us to maintain control over the credit criteria and keep the loans on our balance sheet,” said Lisa Brubaker, Senior Vice President, WSFS Bank. The app bears the partner bank's brand and conforms to the bank's own underwriting criteria and standards, giving legacy institutions the ability to compete with the fintech start-ups that have taken the lead in this field. Rocket Mortgage, SoFi, and Lenda have gained ground as mobile-based lenders. Consumer Reports says Rocket Mortgage (part of Quicken Loans) will speed up the mortgage process, but may be more expensive for borrowers. While these tools have proved popular with Millennials, other data suggests this generation isn't ready to give up on human interaction completely, especially when it comes to financial advice. A survey by Lendedu suggests Millennials still prefer to deal with human financial advisors, rather than AI-driven robo-advisors. Just over 46 percent of Millennials in the survey chose working with a financial advisor while nearly 25 percent expressed a preference for robo-advisors like Betterment and Wealthfront. Robo-advisors provide financial advice or portfolio management online with very little human intervention. They use mathematical rules or algorithms to develop their recommendations. However, just over half of Millennials said they would hesitate to use a robo-advisor because they think the machines are more likely than a person to make a mistake with their money.